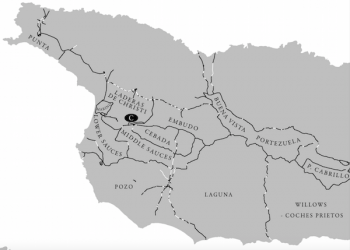 Cebada, Santa Cruz Island, meaning barley, is a pasture containing 559 acres on the western portion of the island. It lies on the southern side of the ridge road route to Christy Ranch. The place name appears as Cañada Cervada the June 1882 U.S. Coast Survey map Pacific Coast from Santa Monica to Point Conception, including the Santa Barbara Channel, California, J.E. Hilgard, Superintendent. This page was last edited on 10 May 2017, at 14:19.